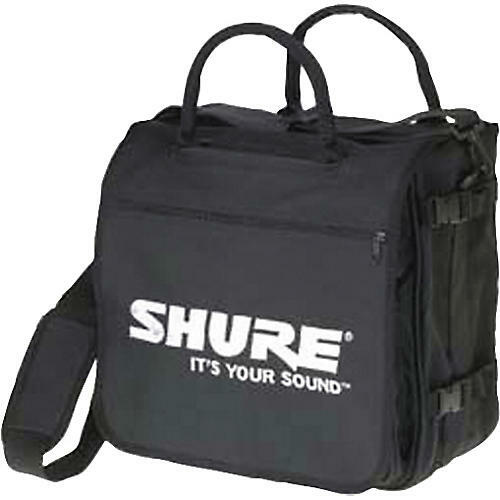 This Shure bag holds up to 50 records. It has handles, shoulder straps, and backpack straps to customize your carrying preferences. It has pockets galore and a fold-down floor for extra support. All hanging points on the bag were strength-tested at 100 lbs so you can be sure your LPs travel in safety. All hanging points strength-tested at 100 lbs. Economical way to equip yourself for transporting. Order today.